You've considered the arguments for and against self-publishing and decided that it's the best option for you. Great; you've got over one of the many difficult hurdles of getting your book out to the world, the next step is to transform the files on your computer into a physical printed book. In theory, this is a relatively straightforward process - get the files ready, find someone to print the book, send it to them and get it printed. Unsurprisingly, it's not as simple as might seem and there are certain tips to bear in mind which will make your life a lot easier as you commence your self-publishing journey. Out of all the things to spend money on during the publishing process this may well be the most important one. Using a decent freelance copy-editor and proof-reader will cost you (normally about £10.00-£15.00 per 1,000 words) but it adds invaluable professionalism to your work. If the content itself is great, don't let a few grammar mistakes undermine it by skimping on proper proofing and editing (because, let's face it, they will). Typesetting is the bulk of preparing your files for print. It's the process of making sure that the words on the page are reader-friendly and well-organised which generally means following certain agreed conventions related to the presentation of reading material. The kindred of typesetting - typography - should be considered at this point. Sans serif fonts are considered the most user-friendly. Fonts like Ariel, Gill Sans and Helvetica are easy to read. Times New Roman is also a common font used in novels. Typesetting is a tricky task which you might want to outsource to somebody who's a real expert using tools like InDesign and other DTP. Having said that, there's no reason why you can't get familiar with Word and do your typesetting on there. If you do, make sure you really do your research and get under the skin of what is required. There are a lot of potential issues which can come up with typesetting including poor formatting, misplacing images and more. This is an obvious one, but before you sign up to a short-run print or even give the go ahead for print-on-demand, you need to see a sample copy to see how it has turned out. It will no doubt cost you to correct mistakes, but at least you'll get the chance to before your book is made available to the general public. If your book is a standard size and format then print on demand is likely to be the best printing option for you. Print on demand is a digital printing service where your book will be printed as and when orders are made. This means you don't have to pay for a bulk print run before you've sold any copies and you'll also never have to pay for storing your books. The only downside is that, compared to the cost per book on a big print run, the individual copies will cost more. But considering you are unlikely to sell in throngs when you first publish it's the wisest choice economically. If your book really takes off you can reconsider this strategy. 6. Speak to your printer or POD provider! If you are unsure about the process or how your printer or POD provider wants to receive files for your book then speak to them! Research initially to find out how they prefer to receive files and what services they can offer you and if you can't find the answers to your questions then get in touch. Trust me; your printer will be much happier correcting mistakes before they get put down on paper than having to explain errors to you post-print or try and correct problems as they go through the process (which, ultimately, isn't their responsibility anyway). 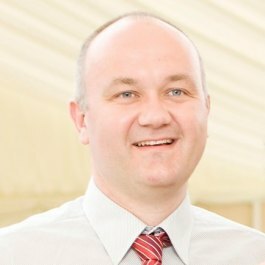 Andy Edmonson is Managing Director at Purely Digital, a quality digital printing service based in Derby. With over 20 years' experience in the printing industry. he is a veritable guru when it comes to all things print! Andy has written for various publications around the net including Print Week and the popular blog Just Creative.